My June Glam bag arrived late this month, so I had already researched and was eagerly awaiting this month's products! The bag itself is not my favorite. I would like the simplicity of it if they hadn't stuck the giant lip logo in the middle. Anyway, this month's bag included a lot of brands that I know and love, some of which I've only tried because of Ipsy, one brand I've always wanted to try, and one I've only vaguely heard of. Best of all, all of these products are cruelty-free! I remember hearing about City Color Cosmetics but I can't recall where. I love trying out new eyeshadow formulas and Cheers to Life is definitely my kind of color. It's a foiled, metallic bronzey copper. It feels very similar in formula to the Morphe metallic eyeshadows and has intense pigment when applied with a finger. With a brush you can build it up to full pigmentation on the eyes, but I find that it's a lot easier with your fingers! This eyeshadow is also massive, you get a ton of product in here. I've gotten several samples from theBalm in Ipsy and I've always been happy with the product itself, but not the pitiful sample size. This one is much larger and can give you a better indication of how the blush wears. Balm Springs is a soft matte neutral pink, which I love. I had been expecting it to be more of a peach shade, which isn't very flattering on me! I can't wait to try this, I might even purchase the full size. I've gotten two Hey Honey products from Ipsy in the past and I loved them both! I haven't put this to the test yet but I definitely will soon. The sample size is pretty nice, I think I could get around 5 uses out of it. It is recommended for normal to oily skin types. I tend to be more dry, but my T-zone gets oily in the summer so I think it will still work for me. This cream blush/lip product might be my favorite product in the bag. I've always been afraid of cream blush but this blends out quickly and evenly on the skin. 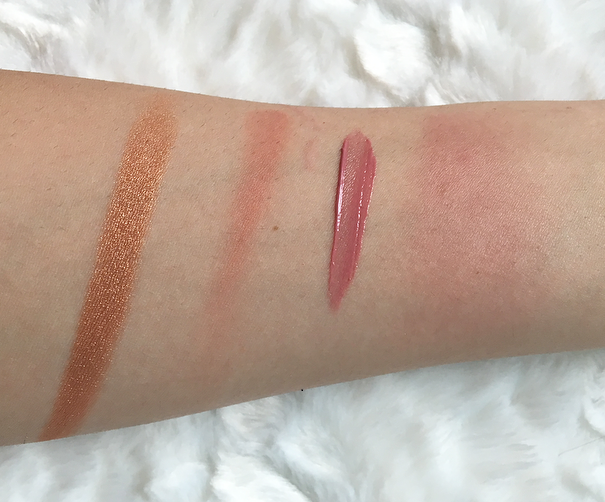 It reminds me of the Glossier Cloud Paints--it's truly weightless and not too pigmented! I want to get it in some more shades, though I love this dusky pink color. I personally wouldn't use it on the lips because I don't think it would stay in place at all. I love mascara samples, especially high end ones. I will never splurge on a mascara over $10 (I go through them way too quickly!) so I like the opportunity to try pricier ones. Pur is a brand I've heard a lot about but have never been able to try, so this sample is exciting. 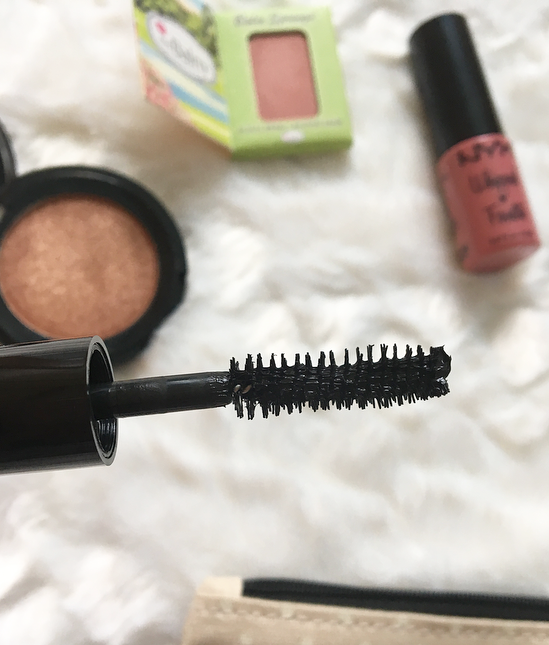 The Fully Charged mascara is said to be powered with magnetic technology, which I've never heard of in a mascara, but I'm happy to try it and see how it goes. It will be a little while because I have so many mascaras open at the moment! Overall I'm happy with this month's bag--I will definitely use every product. Usually they include more full-sized options, but this is a good variety of makeup/skincare and it's very well suited to what I like. Which of these products would you be most excited about? 12 comments on "June Ipsy Bag Review"
Lovely post! Those products look wonderful, especially that nyx lippie! You got nice things in the bag! Loved the tiny The Balm blush! This is such a good bag! Oh wow, I think this month is absolutely perfect! This is a big win. The eyeshadow is so pretty! i have never tried anything from this brand too. That PUR Mascara looks beautiful! Looks like you got a nice bag this month. The lipstick and eyeshadow are really pretty.